Christchurch Detective Sergeant Brad Greenstreet beat depression and is now sharing his story and the stories of other colleagues who have encountered tough times. “Mental Health is such an important topic and it’s ok to talk about it,” the 38-year-old says. Having been in the police force for 13 years, Brad says an accumulation of small things led to his bout of depression last year. When he started talking about it to others he discovered it was far more common than he realised – and certainly nothing to be embarrassed about. “I realised it wasn’t just me and it was ok… I wasn’t crazy,” he smiles. During his career, Brad has attended traumatic traffic accidents, incidents involving serious violence and death. He loves what he does but says the things police officers have to deal with can have a significant impact on someone’s state of wellbeing. It was only when he started talking about his own experiences he realised how important the topic of mental health was. “It doesn’t have to be one big thing. For me it was an accumulation of a lot of small things.” Brad says he started to think about what he could do to help other cops. He reached out to a number of his colleagues asking them if they would share their personal stories on film. Then, with the help of police photographers, he compiled a series of six videos. “They shared their stories which varied from traumatic incidents on the job to personal life struggles outside of work. “It was very emotional hearing their stories and what hard times they had gone through and how they got through it.” Brad said he didn’t want the video to solely focus on depression as it was only “one end of the spectrum and there’s a whole lot of other factors at play in someone’s wellbeing”. 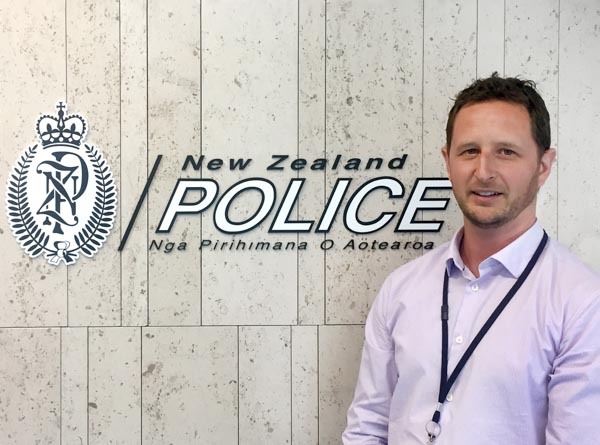 After the video was created, Brad made it available internally to all New Zealand police staff. From front-counter staff to district commanders he received praise from every level. Unbeknown to Brad he was recently confidentially nominated (and awarded) a Sir Woolf Fisher Police Fellowship for his work. Established last year, this year’s recipients are only the second to ever receive such an award. If you or a loved one needs help, contact the Depression Helpline – 0800 111 757 or free text 4202 to talk to a trained counsellor.